Evergreen Acres Alpacas is an alpaca farm located in Arden, Manitoba owned by Garry and Kathy Umscheid. Welcome to Evergreen Acres farm virtual site. We are located close to the East-West centre of Canada, and approximately 100 miles north of the U.S. Border. We started our alpaca journey in 1998, bringing our first two practice pacas home that fall. Our herd was made up of huacayas for the first ten years, but as we travelled to more and more alpaca farms and shows, the Suri alpacas kept attracting our attention. We have been transporting alpacas across Canada and the U.S for over a dozen years and have completed many imports and exports to various countries so sourcing the best genetics to start our Suri journey was easily considered. Relying on our past experience and alpaca knowledge we made the commitment to import the genetics capable of producing the highest quality Suri animals in Canada. 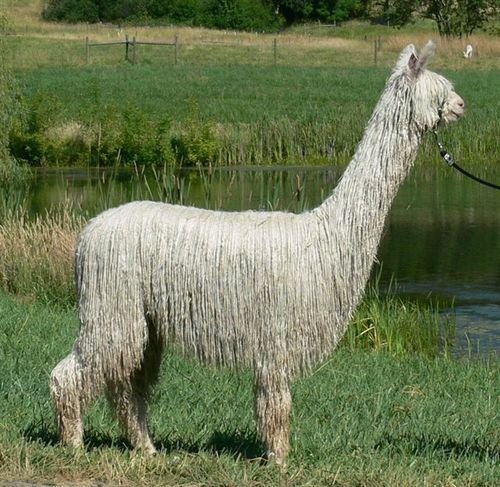 The Suri alpaca is indeed a very rare animal which produces abundant, natural, valuable fleece which is superior in handle and luster to all other species. We are dedicated to do our part to preserve and promote this rare and valuable animal. A purchase from our farm includes personalized support and training and we are available 24/7 for our clients.